It's late and like every night, I am scrolling through photos from our day. He's been asleep for several hours and it never fails, no matter how the day or hours or even one of his threenager tantrums went, I miss him! Today he swam and laughed, maybe hit his baby sister, and definitely told me no a gazillion times...but he was this. 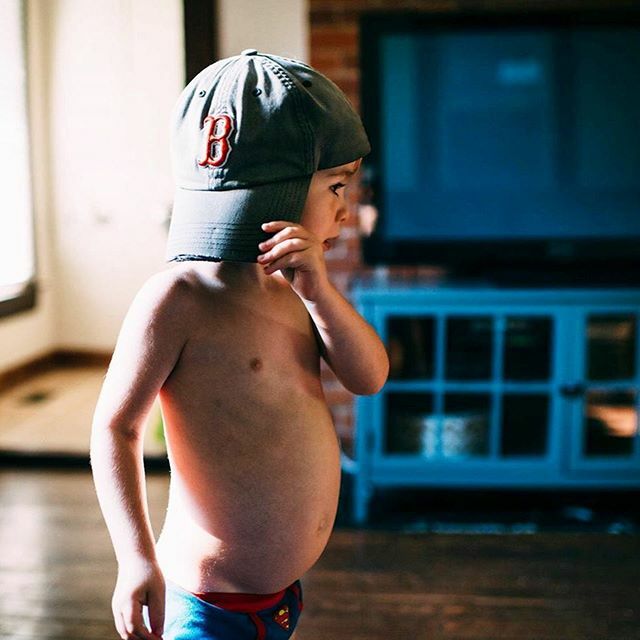 This sweet boy, with his full baby belly, wearing superman undies and his daddy's ball cap, chasing his sis around the house before bedtime. He likes to remind me that he is growing but Pierson Clive, you will ALWAYS be my favorite little boy!